The Seafood Festival on Sunday was definitely one of my favorite moments so far while working for Save the Harbor / Save the Bay. 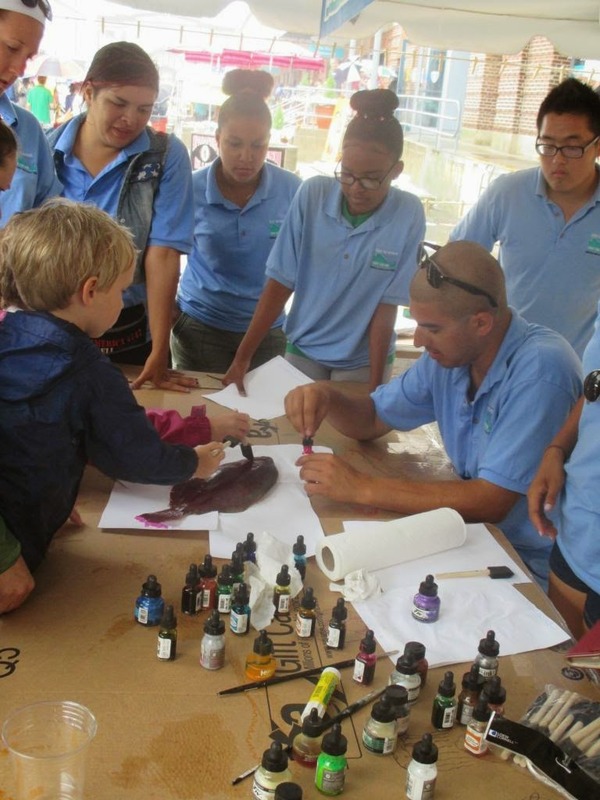 Before Sunday, I had no idea what fish printing was and when Sam told us that was what we were going to be doing, I was a little confused. Little did I know that fish printing is so much fun and so cool. The first one we did together was completely awesome; it was just a bunch of us that did it together just to try it out before we did it with the kids. The kids liked doing the fish prints so much but were a bit disappointed when we told them they couldn't bring them home. I actually had this one kid that did a fish print with me that was completely unhappy about it, it was actually a little funny. He said he didn't like the final product, didn't want to sign it and didn't want to take a picture with it. It's a bummer that there are those kids that don't enjoy doing anything outside that doesn't involve a tv and video games, but every other kid that I had enjoyed it just as much as I did. As I mentioned, the kids weren't allowed to bring them home. That is because they are going to be used to make a mural. I really want to help with putting it together so I can look at all the fish prints that were made that day. The kids were so creative about the colors that they chose to put together and the designs that they had, a lot has stripes and polka dots. 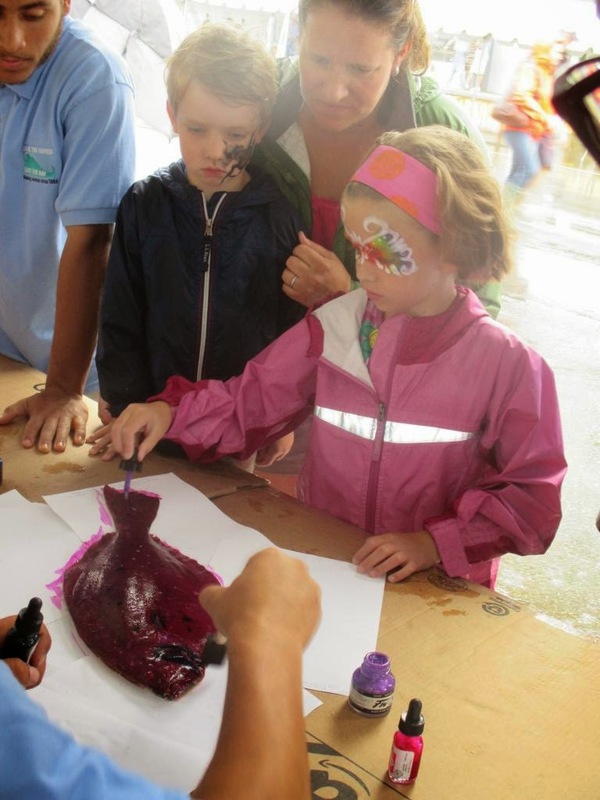 Although the event got off to a rainy start people had fun and plenty of kids came to us to do fish prints. We had to keep putting up lines of rope to hang them all to dry because we were doing so many of them. I definitely want to do more fish prints at some point in the future, they're so cool.